When he was still in his twenties, Martin Luther King Jr. was, among other things, an advice columnist for Ebony magazine. Writer Mychal Denzel Smith studied those columns for an article this week in The Atlantic, and he found that readers asked the civil rights leader about everything from race relations to marriage problems. 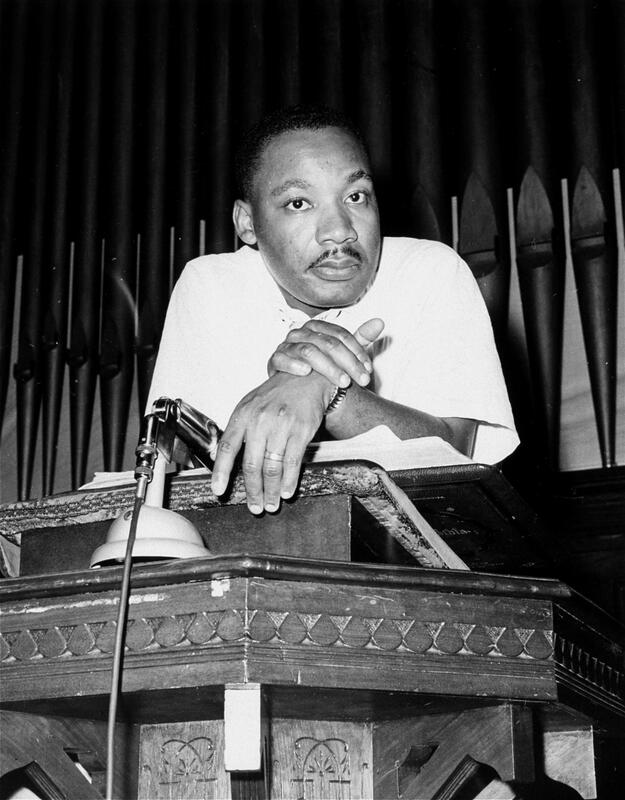 In some instances Dr. King was surprisingly unorthodox — the preacher's thoughts on birth control are particularly eloquent — and in others, his advice was less than sage. When one reader complained about her philandering husband, he told her to self-reflect: "Are you careful with your grooming? Do you nag? Do you make him feel important?" When another described her husband as a "complete tyrant," self-reflection on the part of the woman was, again, the answer. Denzel Smith joins Brooke to discuss Dr. King's mid-century masculinity, how it is still wielded as a cudgel against young black Americans, and why he thinks Americans — black and white — are due for a vacation from MLK-mania. This segment is from our April 6, 2018 program, Paved With Good Intentions. Interesting to hear about some of the flaws and foibles of MLK. I don’t think I’d heard any of these stories before, and it might seem that for all his good that he also created some unintended problems with respect to “being a man” along the way… Certainly a fascinating listen. Caitlin Flanagan wrote a devastating story about the death of a fraternity pledge at Penn State University for the Atlantic last year, and she has updates on the case for editor in chief Jeffrey Goldberg. They discuss why fraternities are still attractive to straight, white, well-off young men on college campuses. Flanagan has also started fighting feminists, with her provocative essays on how some women are turning the #MeToo movement into a racket. She sees some women using the moment to take revenge against individual men while doing nothing to topple the patriarchy. She talks about why millennial women are confused and angry about their sexual encounters. She also says that our fear of toxic masculinity is crowding out an honest look at toxic femininity. An awesome little interview. I’m going to have to listen to this a second time to unpack pieces. Definitely some ideas here worth working through in more depth.